Excellence Punta Cana Resort, Dominican Republic 5.0 out of 5 based on ratings. 2 user reviews. 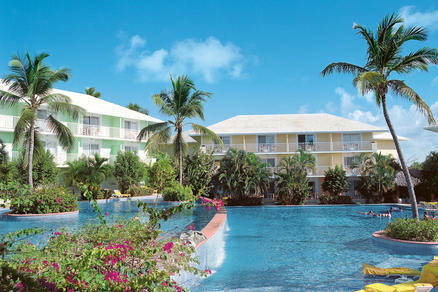 At Excellence Punta Cana, they surround you with all inclusive luxury. This quaint, colonial-style all inclusive resort and spa is the ideal destination for couples seeking secluded romantic resort getaways. But secluded doesn't mean isolated. Excellence Punta Cana is conveniently located only 35 miles from Punta Cana International Airport, and 60 miles from La Romana International Airport. Nestled among palms on a 30-mile stretch of perfect white-sand Caribbean beach, Excellence Punta Cana is an all inclusive romantic resort where everything is taken care of and nothing is left out. So you are free to create those moments you dream of… and memories you'll have forever.